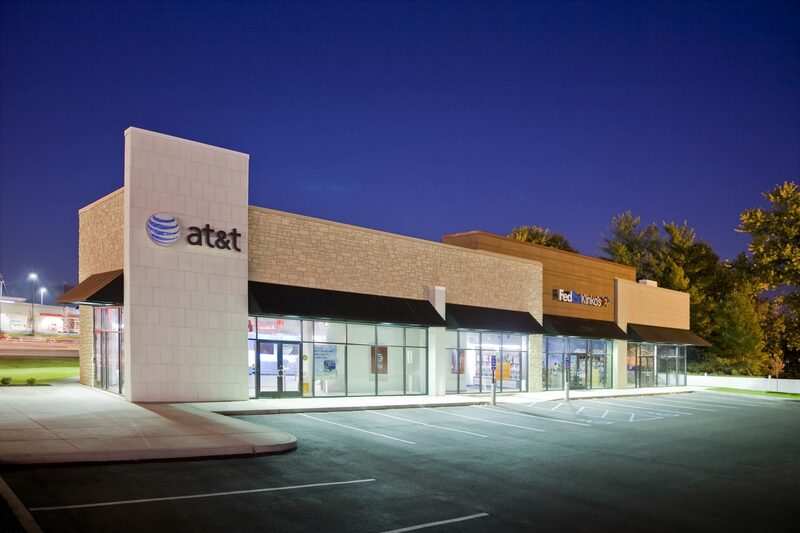 Located near Gravois Bluffs in a thriving retail environment, the design of this center needed to be innovative and dynamic. In order to accomplish this, we had to think outside the box. The use of high quality and contrasting building materials, create a layered, dimensional backdrop behind floating department names. The custom “tower” element provides a focal draw to the building and gives the space an energetic presence. The building’s 3-sided storefront windows allow natural light to penetrate the space creating volume and connecting the building with the surrounding environment. The end result provides the customer with a vibrant retail experience that is easily accessible and welcoming.